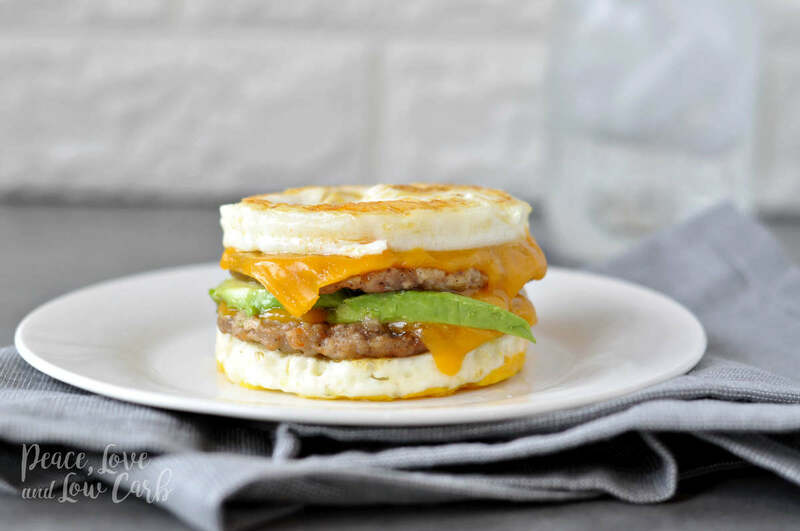 I certainly wasn’t the first person to make something like this Keto McMuffin Sausage and Egg Breakfast Sandwich and I definitely won’t be the last. I first saw a variation of this a few years ago on Nom Nom Paleo. 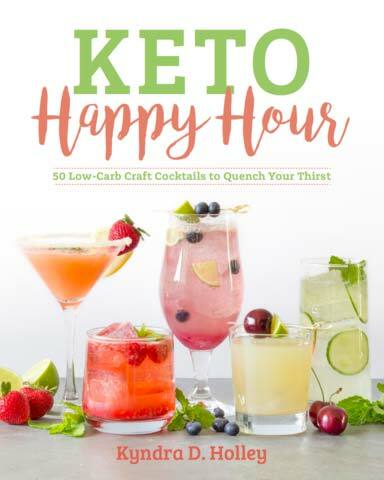 Every time I would see it pop up in my newsfeed or on Pinterest, I always told myself I was going to make something similar, but I just never got around to it… until now. 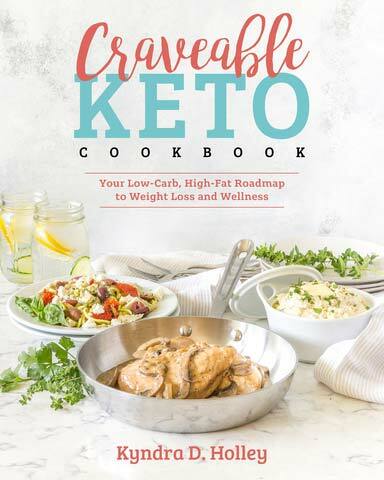 If you are following a low carb or keto diet, then you have probably gotten pretty bored of plain old bacon and eggs for breakfast. Although they are two of my absolute favorite foods, I am always looking for ways to jazz up low carb breakfast foods. 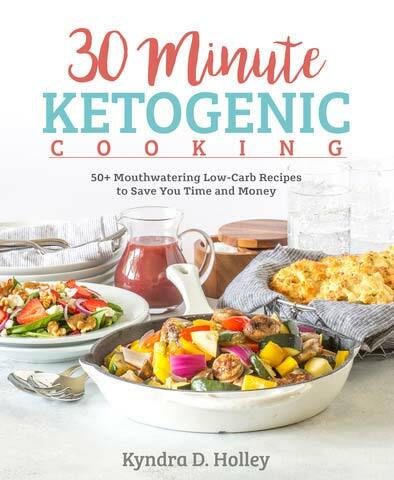 If you are just starting out and are looking for recipes to help you become fat adapted and get into ketosis, then this recipe is a great place to start. Perfectly low in carbs and high in healthy fats. When I was a kid and I was just starting to learn how to cook, one of the very first things I learned was how to fry an egg. From there, I became obsessed with eating fried egg sandwiches, slathered in an obscene amount of mayonnaise. Don’t even get me started on my love of mayo! If I started talking about it, this post would likely start to resemble a steamy love letter and then mayonnaise and I would run off into the sunset together. Focus! Back to my story… I always left the yolk runny and that first bite into a mayo covered, ooey gooey yolk, sandwiched between two soft pieces of white bread was pretty much childhood bliss. Every. Time. I would make one every single day. I guess some things never change. Here I am at the young age of 38 and I still eat the same things every day. Sometimes I swear my life is like the movie “Big”. There is just no way I am an actual grown up. No. Way. Enough rambling already! I almost forgot the reason I brought up the mayonnaise story in the first place… I took that childhood memory of that first delicious bite and captured it in this recipe. I slathered each cooked egg with mayo just like I would have that white bread when I was a child. So good! Next time I make this, I think I will leave the yolks runny just for old times sake. Because let’s be honest, I am fork and knifing this sandwich anyway. Otherwise my hands would be a greasy mess and “Ain’t Nobody Got Time For Dat” This just got weird. I think I will say goodbye now. 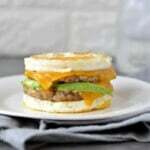 Just try this Keto McMuffin Sausage and Egg Breakfast Sandwich for yourself and you will see what I mean. For this recipe I used a store bought sausage, but I included a link to my Maple Chicken Breakfast Sausagein the recipe also. Heat the butter in a large skillet over medium heat. Place lightly oiled mason jar rings or silicone egg molds into the pan. Crack the eggs into the rings and use a fork to break the yolks and gently whisk. Cover and cook for 3-4 minutes or until eggs are cooked through. Remove the eggs from the rings. Place one of the eggs on a plate and top it with half of the mayonnaise. Top the egg with one of the sausage patties. 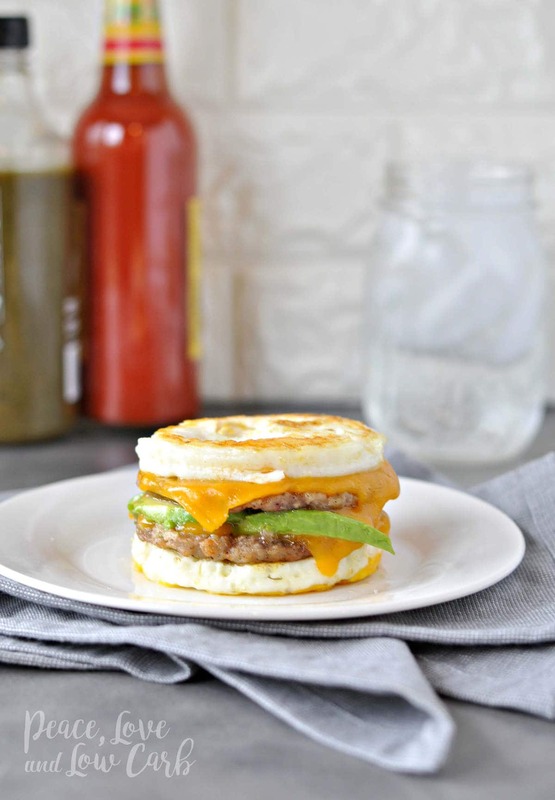 Top the sausage patty with a slice of cheese and avocado. Put the second sausage patty on top of the avocado and top it with the remaining cheese. Spread the remaining mayonnaise on the second cooked egg and put it on top of the cheese. If you want to reduce the calories and the fat content, you can omit the mayonnaise and skip the butter. But like I said above, I LOVE MAYO!! Enjoy! This is going to save my life – easy breakfast for one, coming up! I’m wondering… would they freeze well? That’s what I’m wondering too! Or if you could cook it and keep each piece separate and then build as you go for the week. Sounds so good! This is such a good idea, I’ll need to try this! I have made my own before but I did use muffins, the eggs are a great alternative. Genius! Love the low-carb solution for a sandwich. 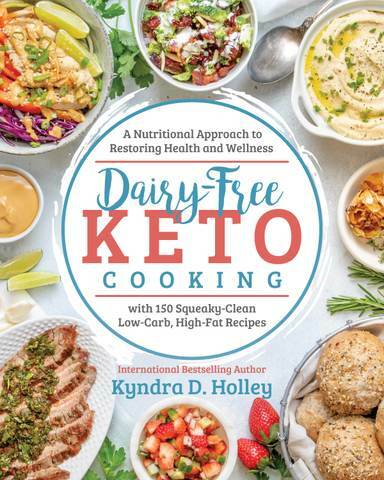 Easy to eat, delicious and keto friendly… checks off all my boxes! What bread did you use since there is no mention of it in the recipe? There is no bread in this recipe or in the photos. I just had this for breakfast with chorizo and smoked gouda. I added green onions, lettuce, sriracha, and nutritional yeast. It was so delicious and filling…not to mention beautiful. Thank you for the great idea! I’ve been looking for low carb “bread” options. This gives me an option for breakfast sandwiches. Thanks for sharing! Absolutely Delicious – I did use bought patties – need to watch sugar in those. The photos and recipes are really great, good instructions.